It must have been one of those mornings that we would get together and have completely random and spontaneous discussions about anything and everything: current affairs, a movie that we had watched, a recent trip we took, that new restaurant down the street…all of this over the many delicious brunch options that Toronto has to offer. It was a moment where one of us might’ve complained about the inefficiency of certain processes, another might’ve criticized about the interface of a new app, and I might’ve shared my thoughts on a recent new business venture. “What if,” one of us said. 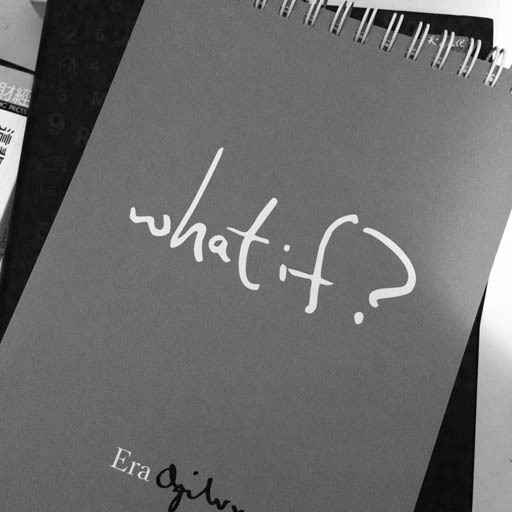 The same question that’s on the cover of the notepad gifted to me by the Chairperson of Era Ogilvy, a PR firm in Taiwan, whom I met with earlier this year. And that was the moment in which Design Benedict was born. At Design Benedict, we believe that you don’t have to understand design to enjoy design. We believe that design should be friendly, simple, and rooted from an understanding of the users. We believe that good design is pure, simple, straight to the point and free of any unnecessary elements. Good design is not dominant – it leaves space for the users to feel and discover the human touch that fulfills their emotional needs. Design is that moment of charm when you realize that everything just, makes sense.